Prairie Plains is a full time training facility that strives for perfection from our dogs and yours. With training grounds in Mississippi, Alabama, and North Dakota, we can provide multiple environments to beat the heat or cold to provide year round training and success. At Prairie Plains, we feel that we can provide all types of hunting scenarios that may be encountered in the field. Dogs are trained on an individual basis with an understanding that each dog has his or her own personality. Dogs will be trained and exercised on a daily basis. Owners are encouraged to call for weekly updates of their dog’s progress. We also encourage owners to participate in training sessions. 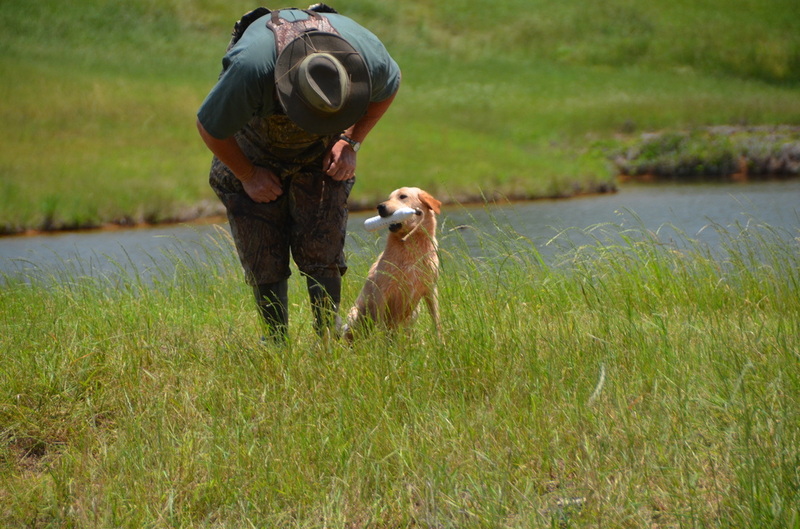 We will work one on one to train the owner/handler because they are just as important to the dog’s success in the field. If your expectations are for a great gun dog or an AKC/UKC titled champion, look no further than Prairie Plains. 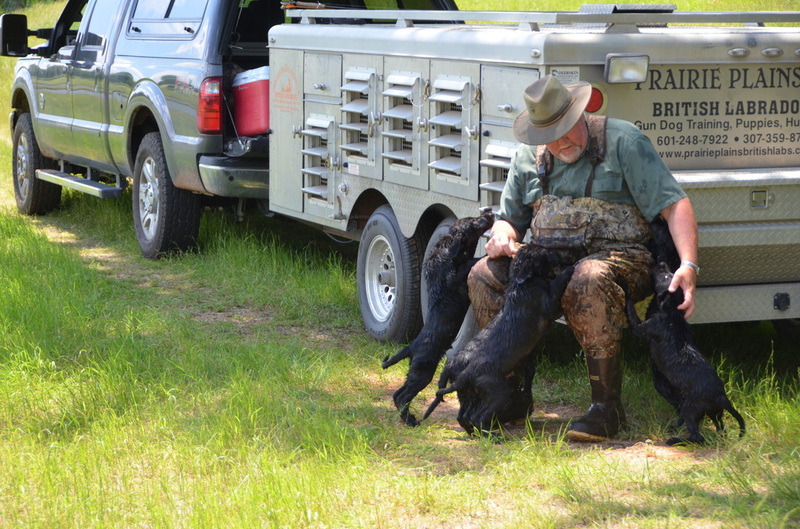 We will work hard to provide high quality retriever training and will customize training programs to fit your hunting style. To ensure a clean and safe kennel environment, owners must provide a current vaccination record before a dog enters the facilities. Prairie Plains feeds and recommends Purina Pro Plan Sport. A 30% protein 20% fat loaded with beneficial nutrients to ensure our canine athletes can compete at high levels. Prairie Plains requests new students be enrolled at least two months in their intial training. Payment for 1st month due at drop off, then 1 month in advance thereafter. All medications should be brought with your dog for administering at our facility. Monthly fees excludes: Heartworm preventative, Vet checkups, Unforeseen and emergency vet bills. These medications are provided by the owners and will be administered on the dogs current schedule. 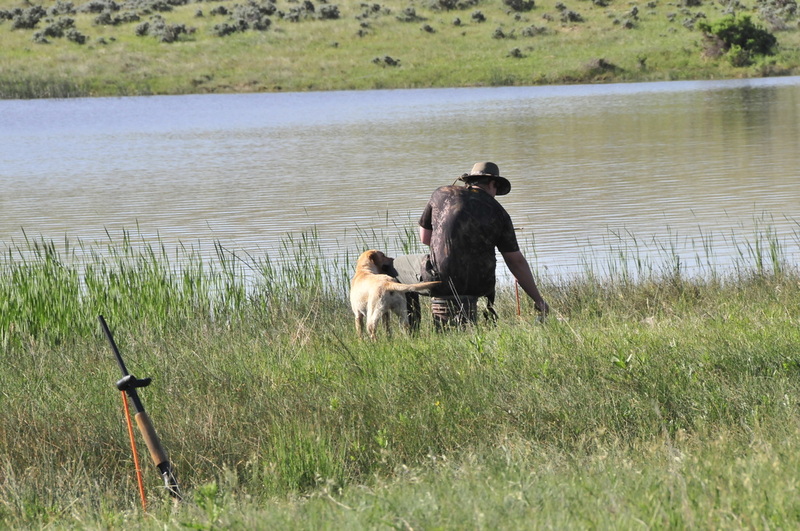 At Prairie Plains, we believe that the foundation of an exceptional retriever begins at the puppy stage. We encourage clients to bring pups at the age of 5-6 months. This early start helps form bonds between the trainer and dog. Pups at this stage are like a sponge and are absorbing information and eager to learn correctly. Also the pups joints, limbs, and muscle recovery is now ready for a training regiment. Obedience using voice and whistle commands is already established. All dogs will be evaluated by their ability and progress. Dogs advancement will be discussed thoroughly with the client. We encourage your participation in your dogs progression so that you will know first hand how well he/she is learning and how to get that performance from the dog at home and in the field. By implementing the techniques we have acquired from a combined 25 years of training experience, we will guide and mold your dog into becoming an exceptional obedient retriever.